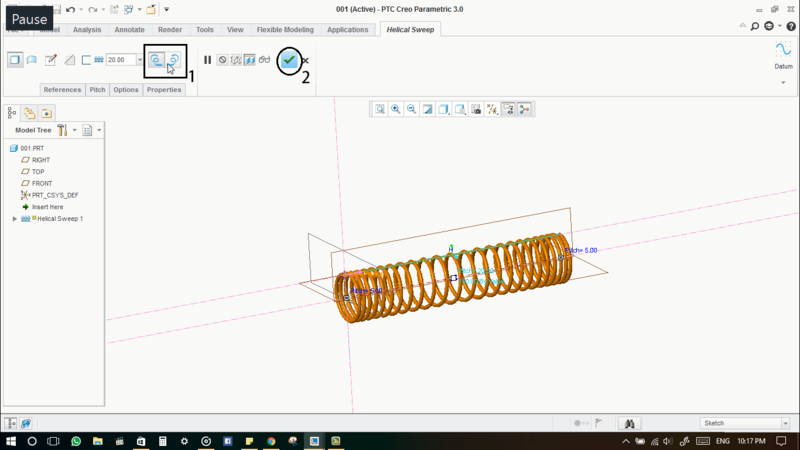 Helical Sweep Is a feature in Creo software which is a CAD software. In this guide, we have discussed how we can use these features for different situations. Let’s get into the topic. 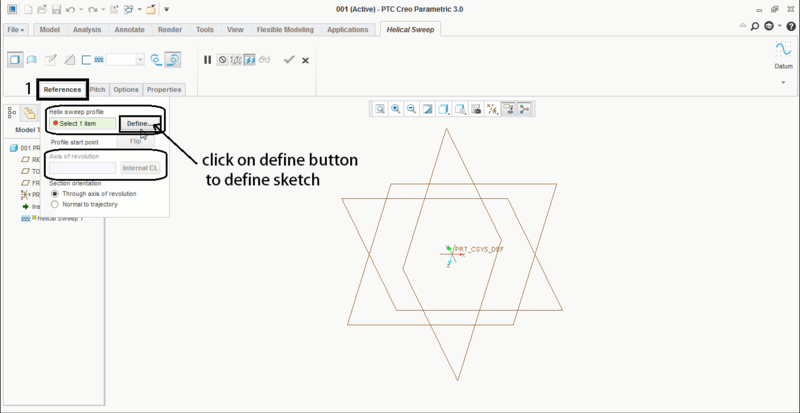 The functionality of this feature will be similar to all other CAD packages like Solidworks. 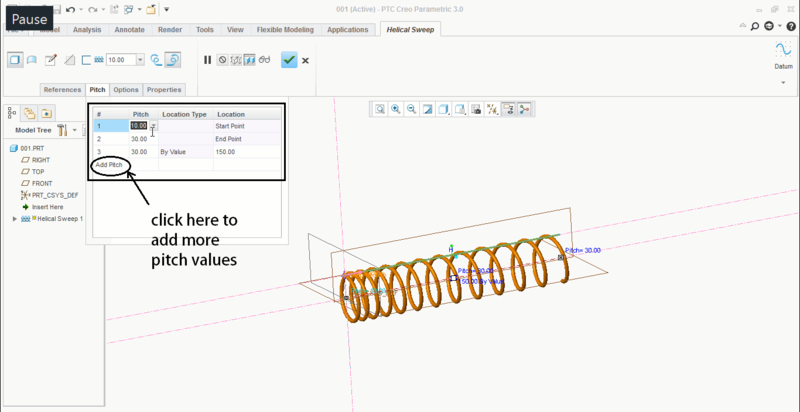 We have a Video tutorial for making a Mechanical spring which has explained about multiple pitch value in Helical profile. For Step by step Guide, Scroll down below. Go to helical sweep command. 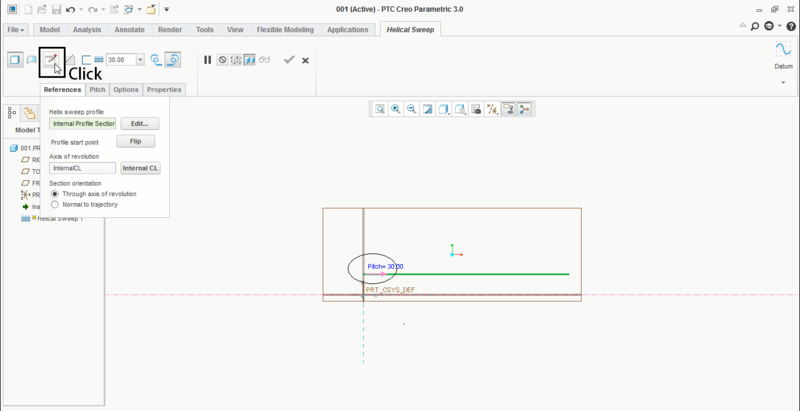 In references tab, you will need to define the helical sweep profile and the axis of revolution. 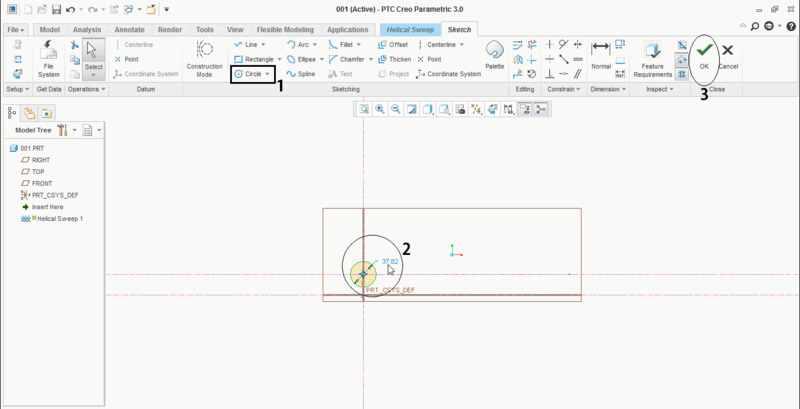 Click on Define button to define the helical sweep profile. 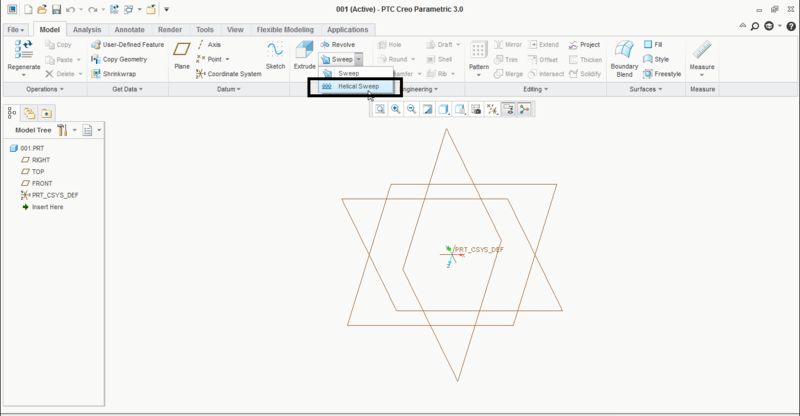 Define the centre axis also. So that it will take the axis of revolution along with this axis. 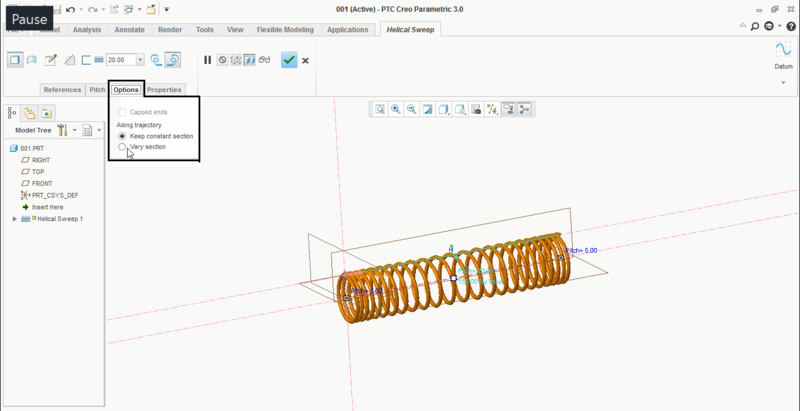 Now we have successfully defined the helical sweep profile and the axis of revolution. It’s time to define the sweep profile. 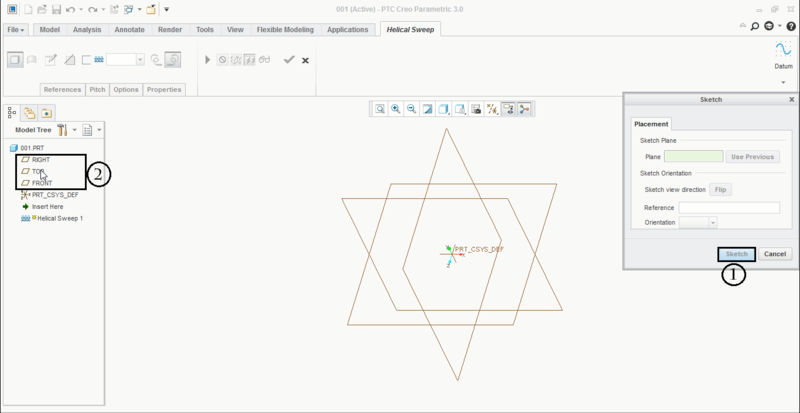 Now we need to set the pitch value for the helical profile. This can be done in different ways. Single pitch value or multiple pitch values. Enter the single pitch value for the spring. Enter the multiple pitch values at the start, and at the end, and at a particular distance you want. That’s it! And we can give variable parameters for the sweep profile, by giving relations in relations tab. We can switch between the direction of the helix. That’s all. 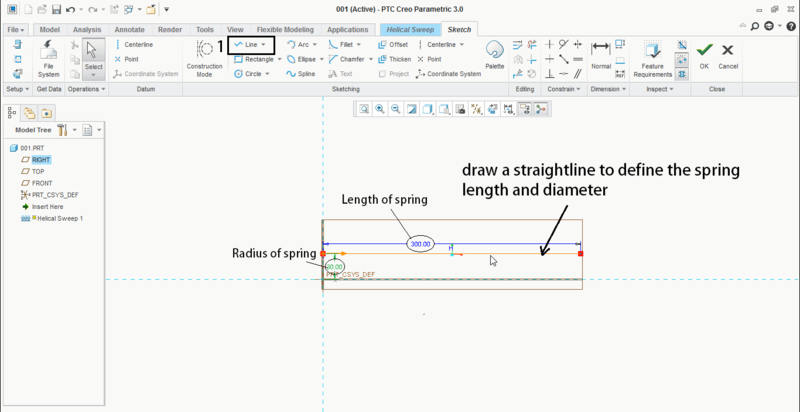 we have successfully created mechanical spring.The variable sweep profile can be driven with the help of “trajpar” relation in relation editor.